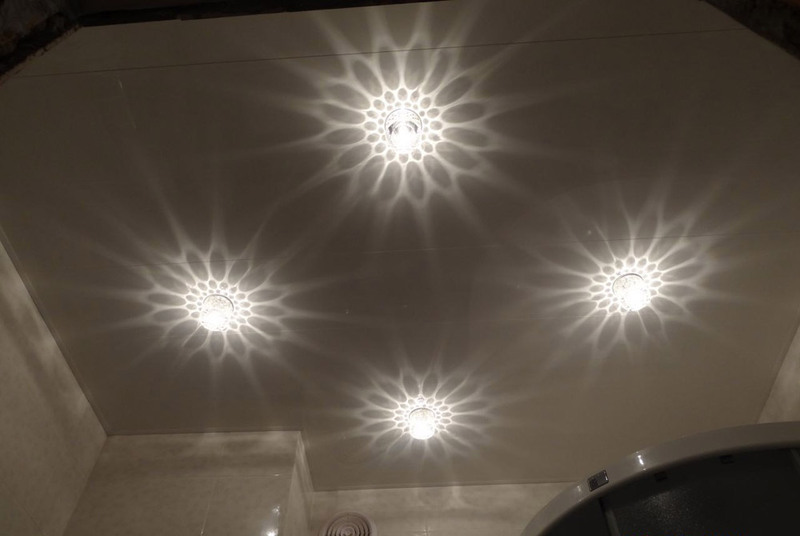 Which bathroom ceiling design to install? This question naturally comes to mind when carrying out repairs in this room. In fact, it would be desirable and beautifully to make, both it is strong, and it is modern. 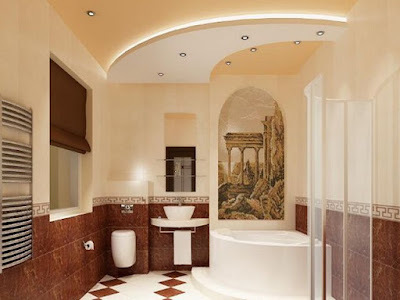 In this subject, we will tell you how to do this because we introduce some of bathroom ceiling designs and what ceiling to choose for this room, taking into account its requirements. Deciding what to make a ceiling in the bathroom, many choose the PVC panel. This is a relatively durable and absolutely moisture resistant coating. You can mount them yourself, they look quite nice and do not need additional finishing. Their surface does not require special care, it will be grateful for periodic wiping with a damp cloth. The design of this ceiling allows the installation of spotlights. 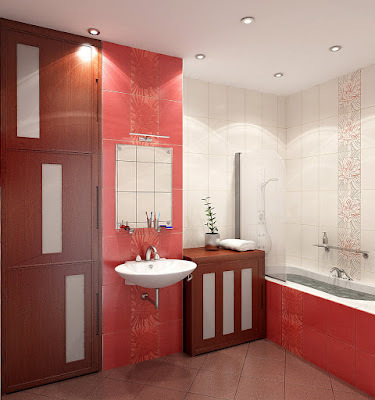 You also may get inspired from Blue bathroom decor catalog. At the joints of individual panels, there are seams, which eventually gets dirt. This is not very beautiful but can be corrected by carrying out periodic cleaning. 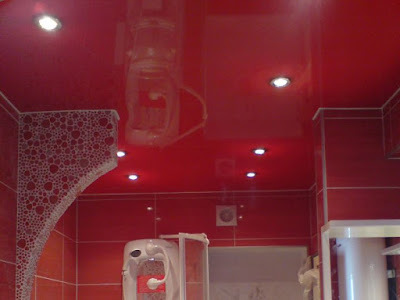 Worse, if the bathroom bad ventilation - then in the crevices no longer dirt settles, but a fungus, which is much harder to pull out. In addition, the metal frame can rust over time. It happens that even the galvanized coating on it does not help. But it can happen most likely when indoors there is poor ventilation and high humidity. 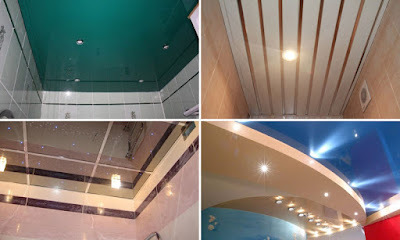 If you want to update such a ceiling, then prepare for the fact that it's easy and fast not to do it. 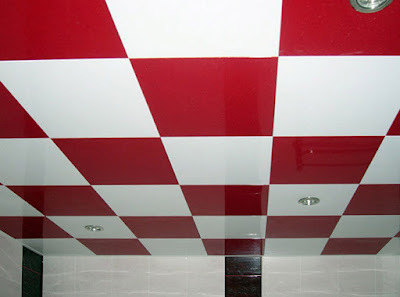 It is necessary to completely remove the old plastic and then mount a new coating. The ceiling of the rack-and-pin type is also assembled on the frame. Reiki is narrow long panels. They can be plastic, steel or aluminum. Of metal, of course, aluminum is better - they are absolutely water-resistant, and corrosion does not "eat" them. The color solution of the rack ceiling can be varied, since the panels are produced both gold-plated, and chrome, and one-color, and with a pattern. Installing them on the shoulder even to the dilettante - they collect as a designer. 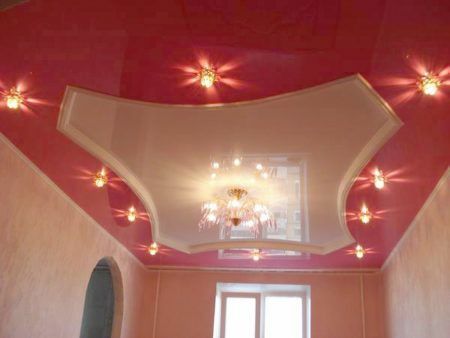 And care for such a ceiling is quite simple. Therefore, when deciding which is the best ceiling in the bathroom, many choose exactly the ceiling of the rack type. 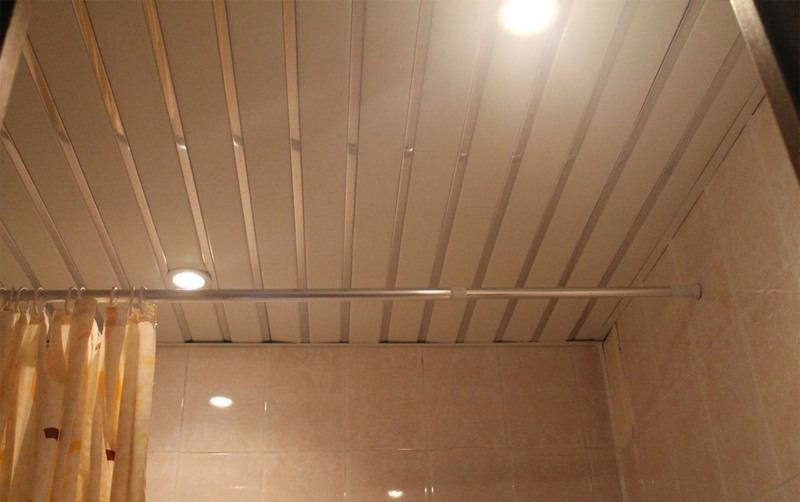 It is also very convenient for mounting that the slats are flexible enough. Therefore, you can make a similar ceiling, not straight, but curvilinear. 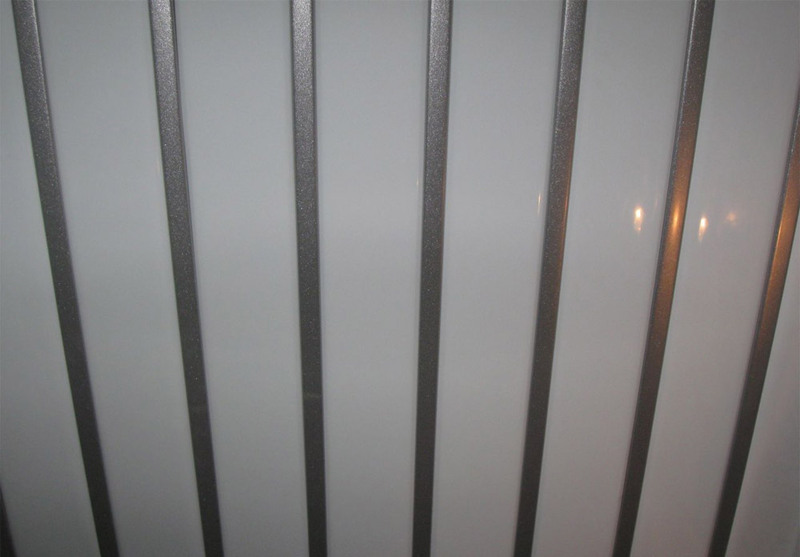 And the polished surface of the slats has reflective properties, and the ceiling of them looks almost like a mirror. This property, however, is also found in some ceiling slabs. Of the minuses, it can be noted the mud stitching of inter-panel seams. 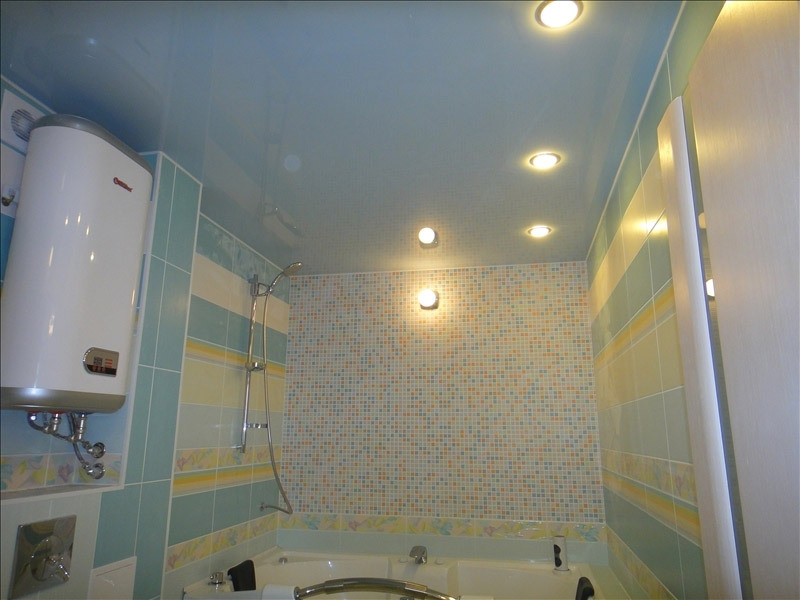 In principle, we do not even notice any clean seams, but when they are contaminated, untidy dark strips form. 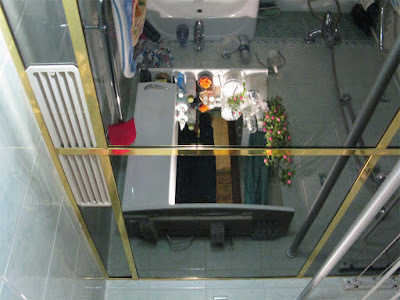 However, this trouble is easily remediable - you just need to do the cleaning of the ceiling from time to time. 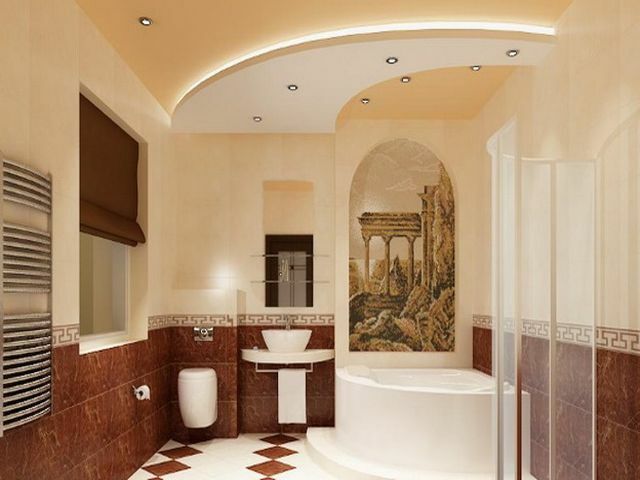 Not every bathroom will harmoniously look the ceiling from the racks - it does not fit all the styles of the interior. This construction is made on a frame - wooden or metal. However, in the bathrooms, wooden frames usually do not use. 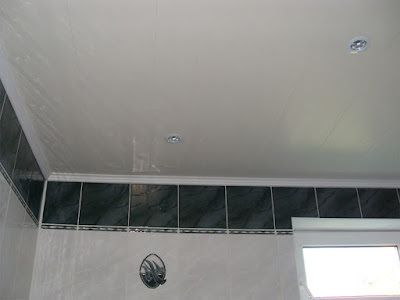 After the frame is installed, it is "sewn up" with sheets of gypsum board, which is necessarily waterproof, containing protective additives from the fungus and from excessive moisture. When buying, in order not to be mistaken, you need to look at the markings - it should be written "GKLV." That is - the gypsum plasterboard is moisture resistant. Look at the color of the sheets - they are usually green. Such a "correct" drywall will not rot, not damp and will not crumble. 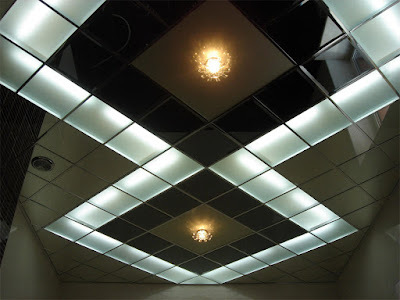 More than 50 ideas and designs are provided with 3DEX in the most popular catalog: Latest POP false ceiling designs for living rooms. 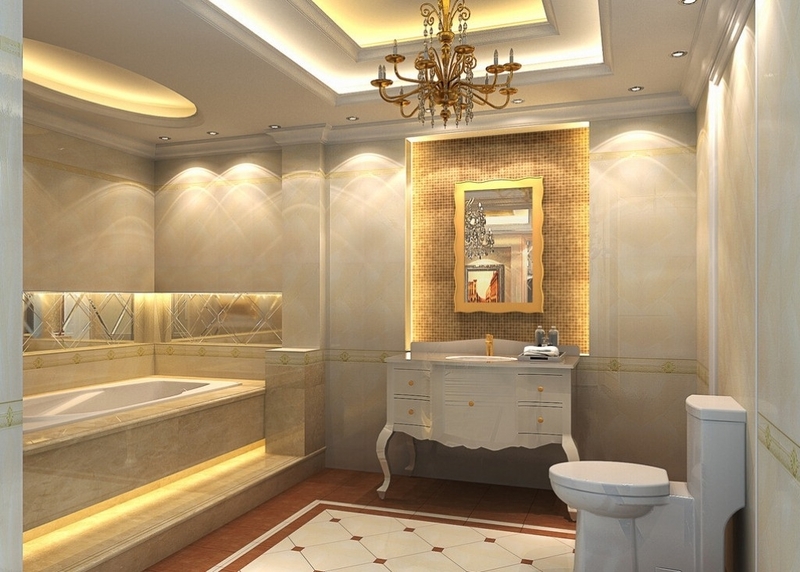 Such ceilings allow the original design of the bathroom. 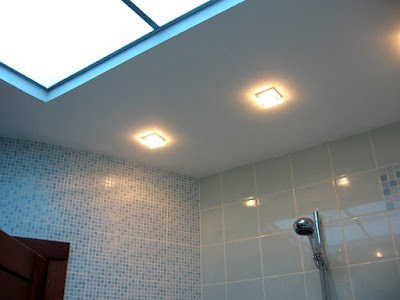 After all, they can be made multilevel, as well as to beat the location of luminaires built into the frame. 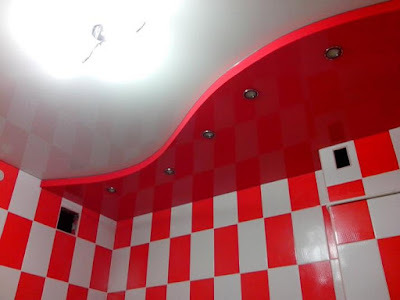 Having ridden all flaws and unevenness of the ceiling, ventilation communications and wiring, we will get a beautiful and durable ceiling. His service life is from 5 to 10 years. Unfortunately, the installation of such a structure is not cheap. The frame must be made, the sheets fixed, and then another walk through putty, primer, and paint. 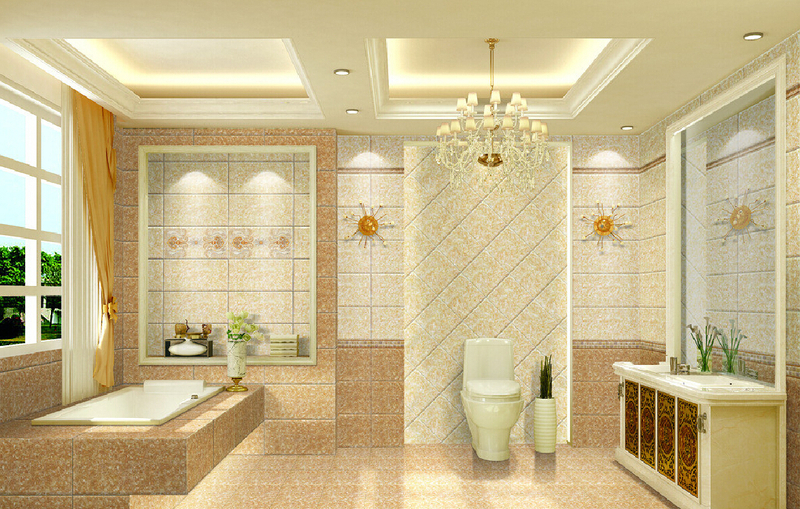 If you perform the installation yourself, then in terms of time and labor spent, such a design is also very costly. In addition, periodically have to refresh the paint coat, as it will lose its appearance. As in the case of a painted ceiling, soaking up dirt with time is inevitable. 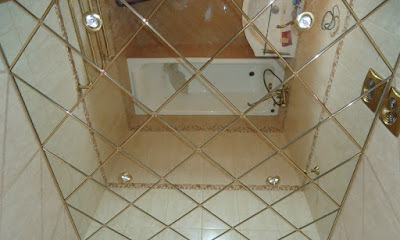 But the design itself with this replacement or repair will not require. On a similar frame, as with plasterboard, it is possible to build a ceiling made of finished facing sheets, called still ceiling suspended tiles. 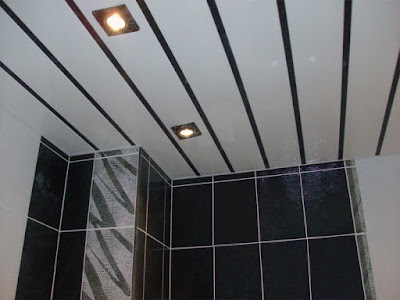 The result is a ceiling cassette or cellular type. In contrast to drywall, it does not require either priming or staining, which is an undoubted plus. After all, these plates have already treated the surface. They can be made of different materials. In particular, for these purposes, moisture-resistant modules of Plexiglas, metal or plastic, mineral plates are used. Beautifully and a bit magically look such constructions with illumination. 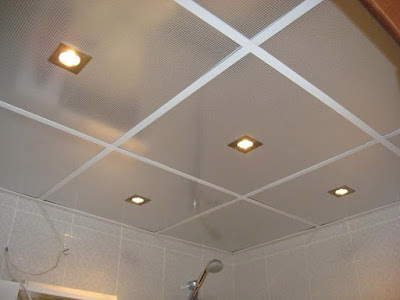 However, it can be noted that not always the ceiling cellular or cassette type fits well in the cozy environment of the bathroom and the whole apartment. Sometimes he looks somewhat cold and semi-official, and involuntarily wants to move him somewhere to a public bathroom. However, it all depends on the style of the bathroom interior. 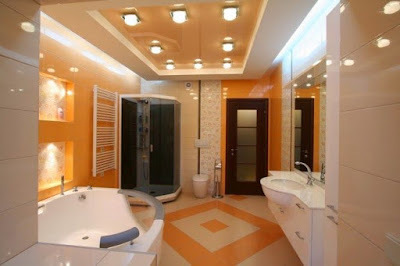 If it is, for example, minimalism or hi-tech, then such a ceiling will fit into the design very organically. 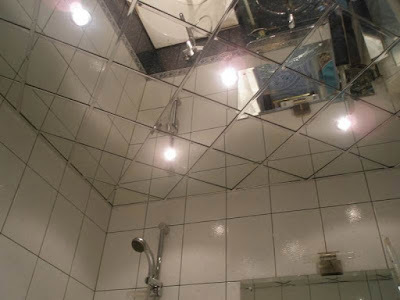 If the mirrors are used real, then the ceiling looks just gorgeous. But such a design will cost as expensive. The frame will need metal, reinforced (about the same as for fixing drywall). The holes are drilled in each of them to attach mirrors to the frame. Collect all this is only by the experienced master, but it will last for such a long time. 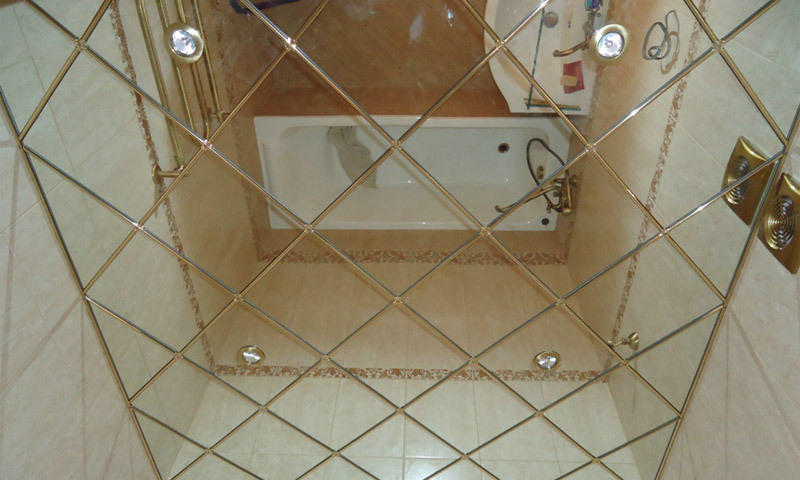 But also to look after it it is necessary with all carefulness, polishing and rubbing it to shine. 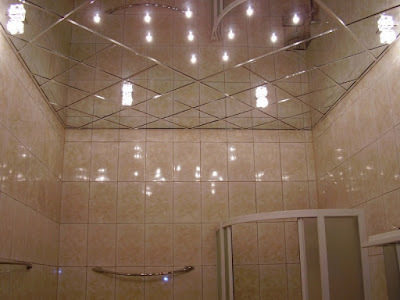 There are budget options for the ceiling in the bathroom mirror type - their cost is several times smaller. 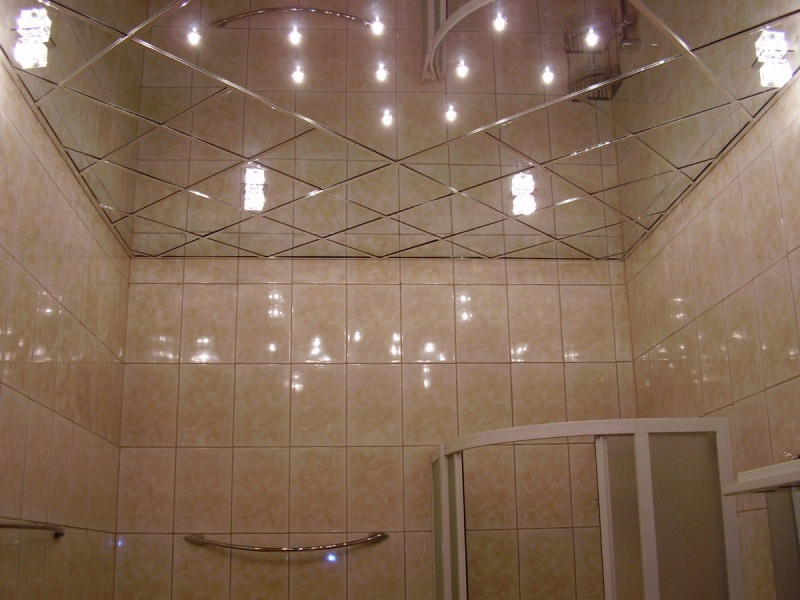 For example, you can take light shiny plastic panels, mounted them on the "Armstrong" system. 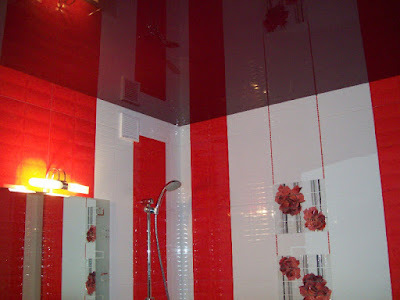 Installation is quick and easy - and an inexperienced master in this type of work will cope with it. However, the frame of this system is rather weak, it is not very resistant to corrosion - it eats it in a fairly short time. 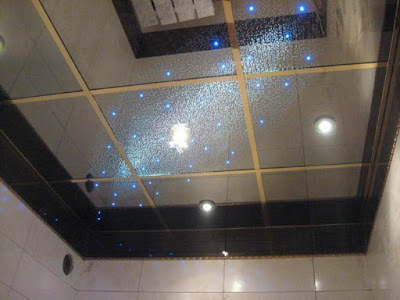 This ceiling creates a large amount of shine, which not everyone can like, especially if the ceiling is not that high, but you stay in the room for a long time. Since the surface is mirrored, then in terms of care there will be all the same difficulties as with a conventional mirror. 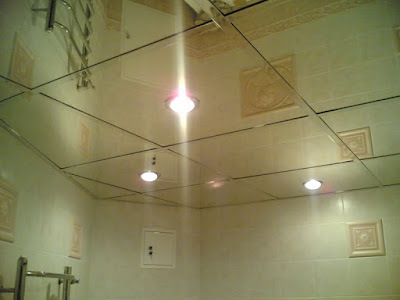 But if the usual mirror is located vertically and care for it is easier, then behind the mirror ceiling care will be much more difficult. Excellent option for the bathroom - it does not damp, and from the flood protects walls, floors, and furniture with appliances. 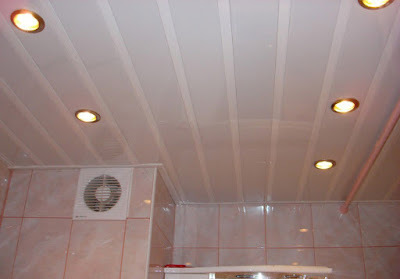 If a whole "lake" of water is poured onto such a ceiling (up to 100 kilograms per square meter), nothing will happen. Experts water the salt, and the ceiling is pulled again. And he does not change his properties at all. 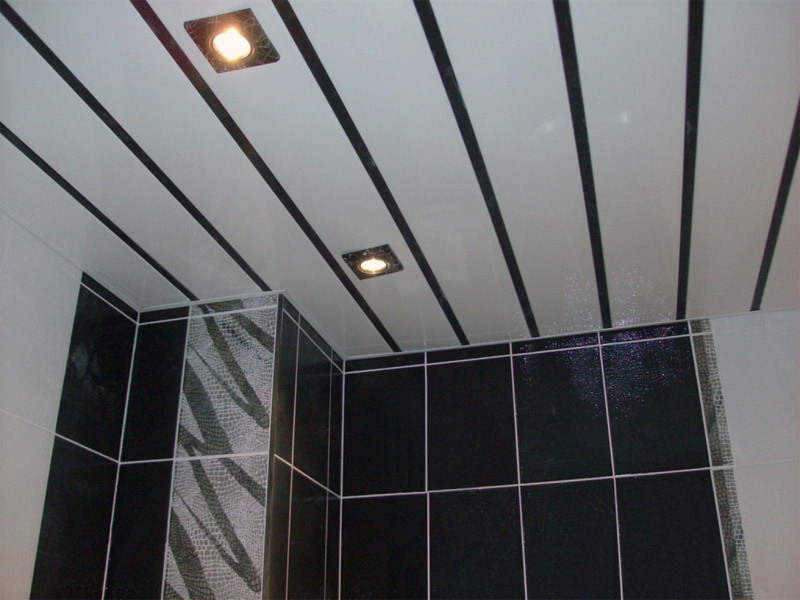 Care of the tension-type ceilings consists in wiping them with a wrung-out wet duster. 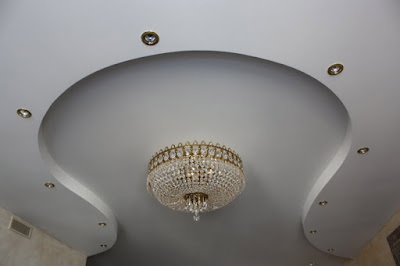 We also note that stretch ceilings fit into any design, look modern, noble and exquisite. They have so many options for coloring and design, which is not to be considered. Matte and shiny, with pictures and monophonic, with photographic printing and with convex patterns. You can choose for every taste. Unfortunately, the very installation of such a structure cannot be mastered - the professionals will have to be called. Only they have the necessary equipment and materials. And one more minus the stretch ceiling - it's pretty easy to poke. Well, after that the ability to hold water will evaporate, unfortunately. 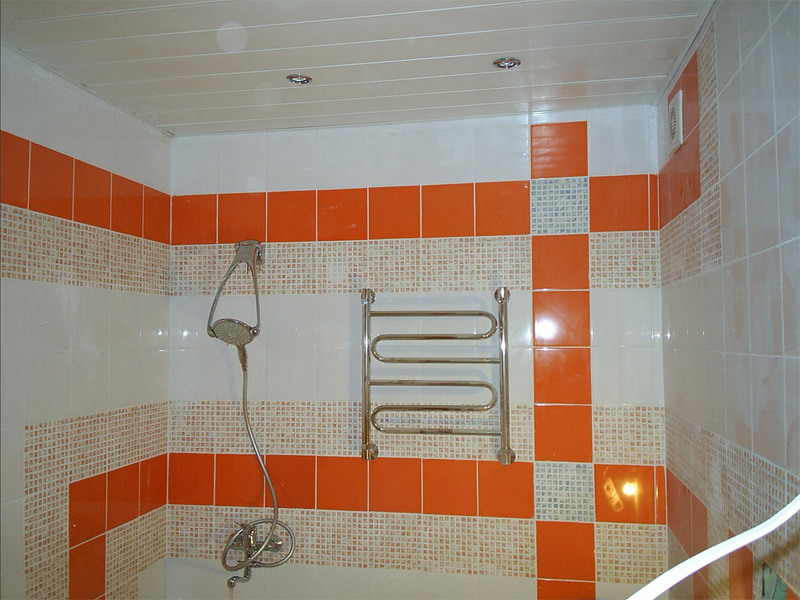 Therefore, you need to be more careful not to touch the PVC film with sharp and hard objects. In the case of a white stretch ceiling, its yellowing can be observed in those places where fixtures are fixed. These stains are not rubbed and not painted over. Therefore, if this happens, you have to completely change the tension web.